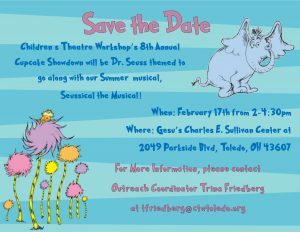 Join the Children’s Theatre Workshop for the SWEETEST family-friendly fundraiser in the Toledo-area! Attendees will taste the delectable spread of cupcakes and vote for the best! 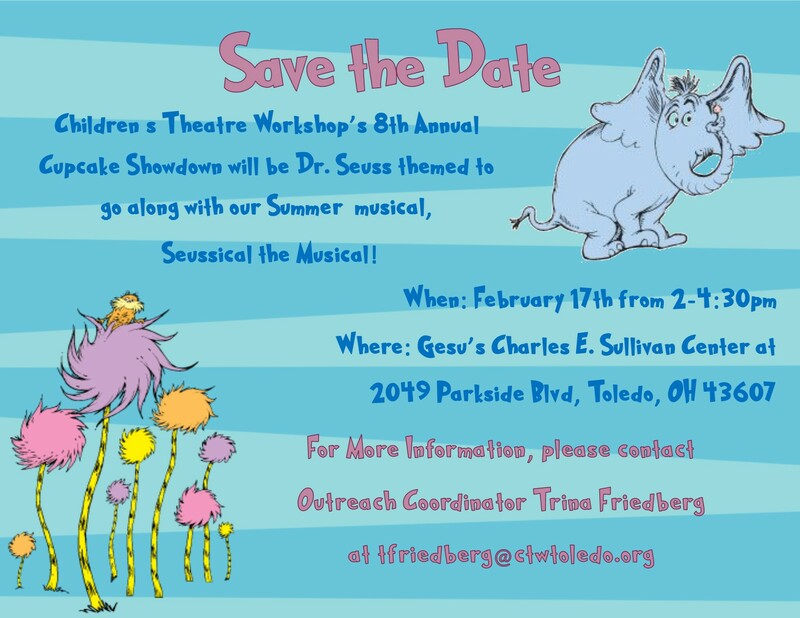 All proceeds benefit CTW’s programs and services! 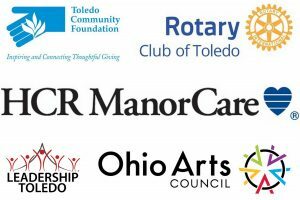 Tickets for the event are $15 for adults, $10 for students and seniors. Children under 5 are free with a paying adult. There will be raffles and silent auction opportunities, too! ONLINE SALES HAVE CLOSED. BUY YOUR TICKETS AT THE DOOR! WE ACCEPT CASH, CHECK, AND MAJOR CREDIT CARDS!